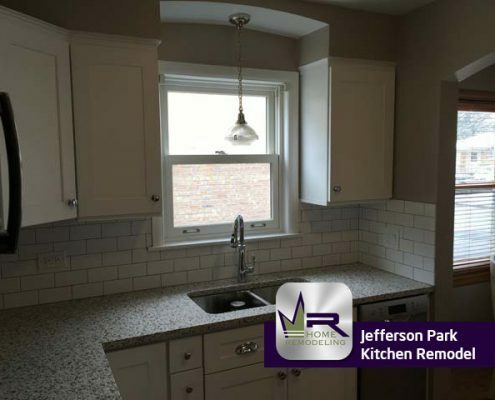 Jefferson Park is a neighborhood of Chicago located 11 miles northwest of the Loop. Bordering communities include Norwood Park, Forest Glen, Portage Park, and Harwood Heights. 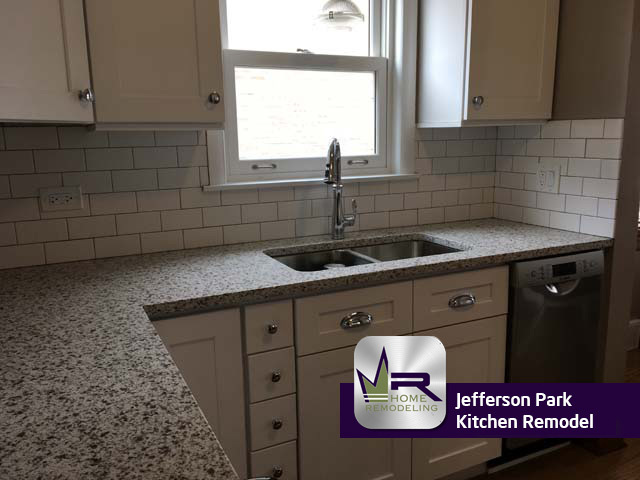 Because Jefferson Park is served by a Blue Line station and a Union Pacific/Northwest Line, it has become a hub for transportation in Chicago and has earned the nickname “The Gateway to Chicago”. Due to this, many commuters tend to reside in Jefferson Park, especially city and county workers such as Chicago Public School teachers, police officers, firefighters, and medical workers. 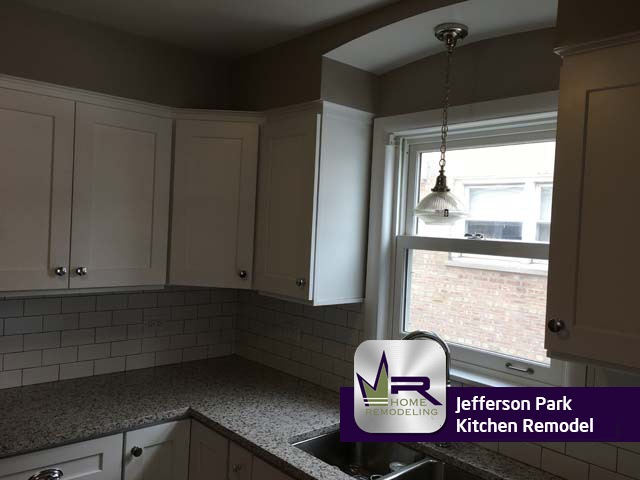 Residents of Jefferson Park attend Chicago Public Schools, however, there are a numerous amount of private schools close by that also offer great educations to its students. 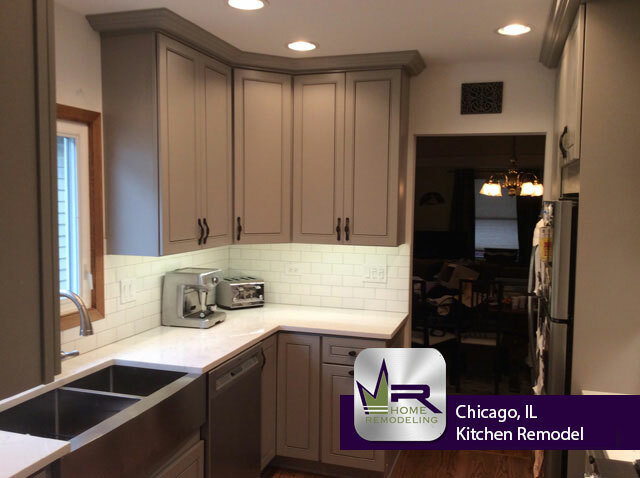 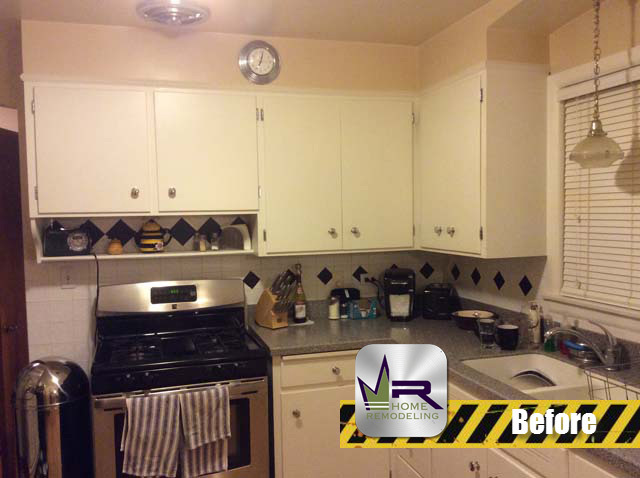 The homeowners of this Chicago property gave Regency a call when they decided it was time to renovate their kitchen. 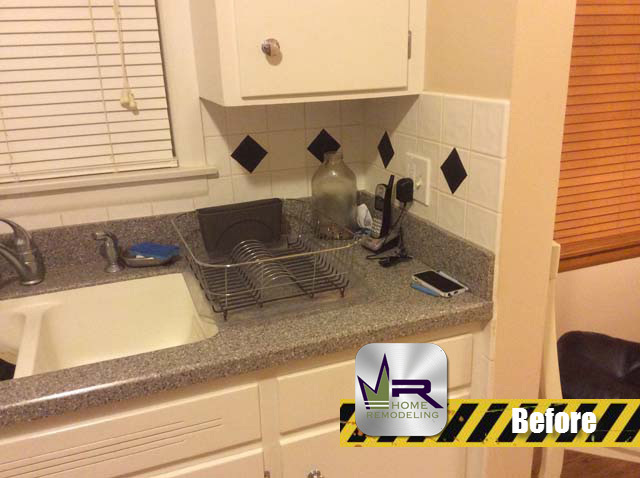 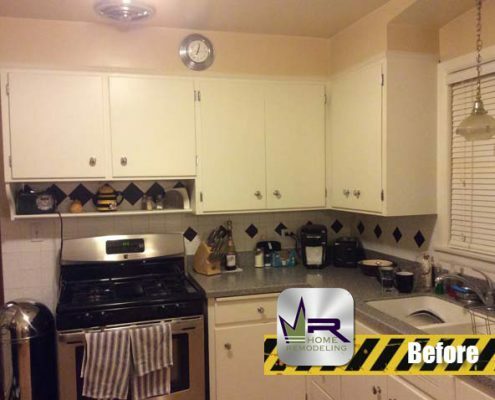 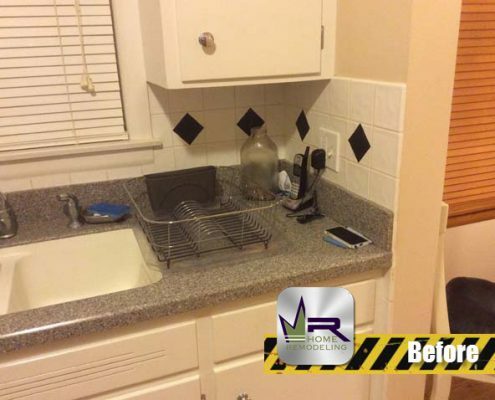 The main goal of this remodel was to update the kitchen in terms of style and appearance. 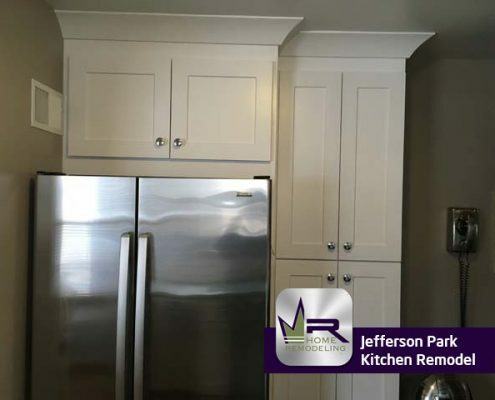 The existing look had become undesirable to the customers, so they were hoping to create a more modern kitchen that would make the space look more elegant and that would not go out of style. 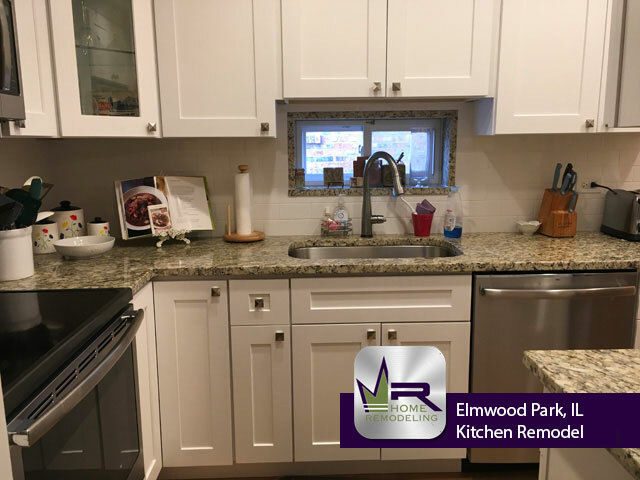 Additionally, they wanted premium, stainless steel appliances and fixtures installed throughout the kitchen, as well as light colored cabinets and countertops that would give out a great deal of brightness. 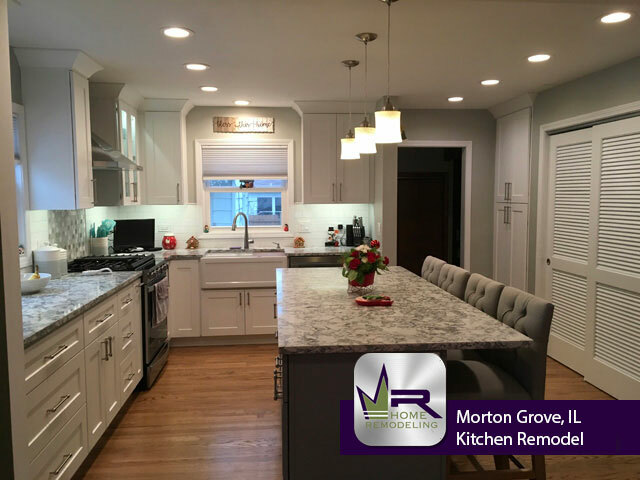 The finished product of this renovation is absolutely stunning. 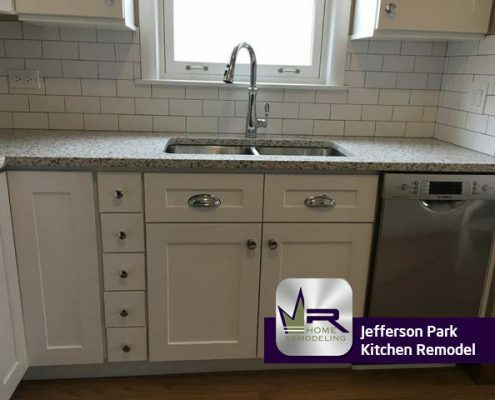 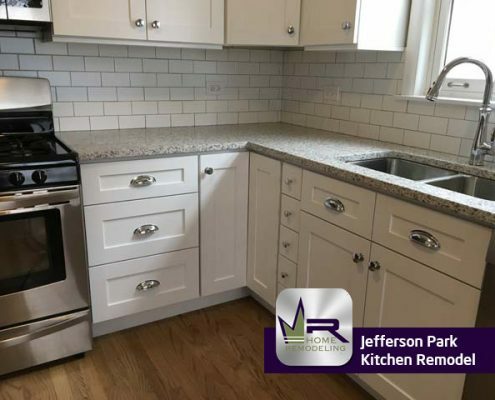 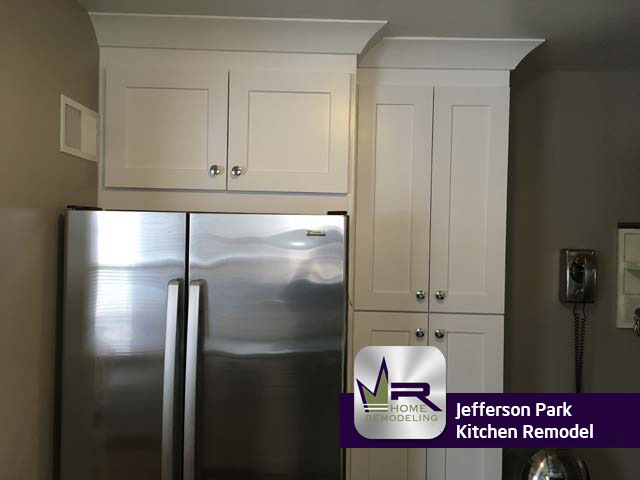 By installing White Shaker Style cabinets and Quartz Riverbank countertops, Regency was able to create a great deal of brightness as well as a very modern appearance. 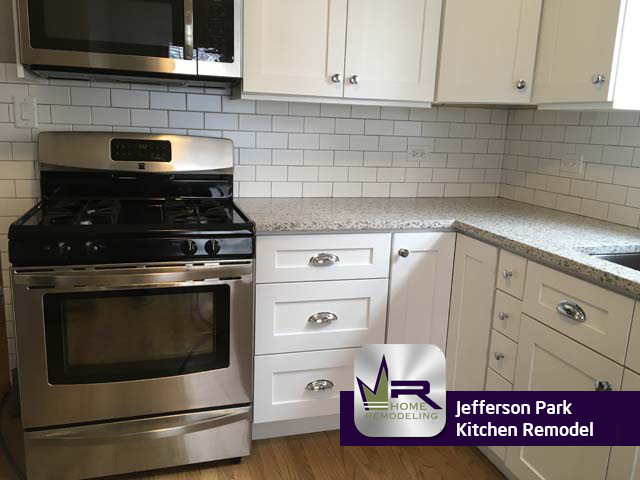 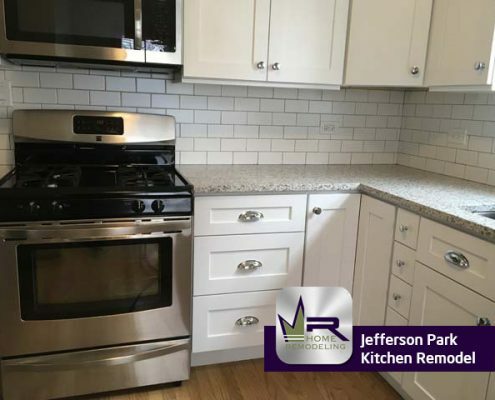 For the backsplash, Rittenhouse Square Matte Arctic White tiling was installed that further pulls together the cabinets and countertops. 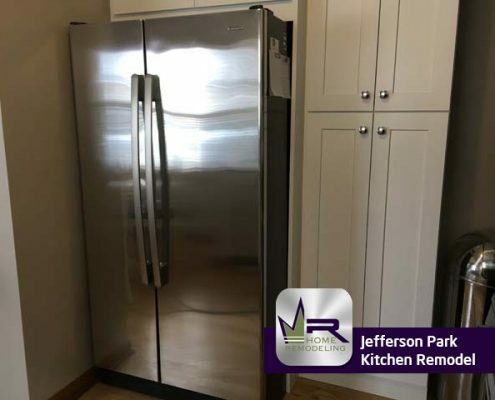 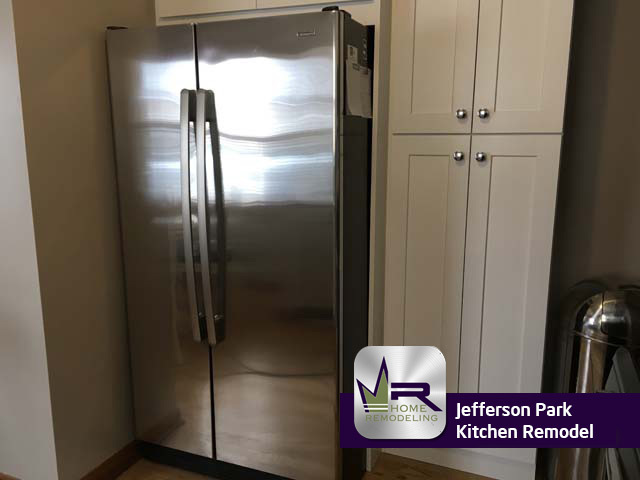 Per the customer’s wishes, Regency installed stainless steel appliance and fixtures to portray an elegant and sleek theme such as the Kitchenaid refrigerator, Bosch dishwasher, and even the cabinet handles. 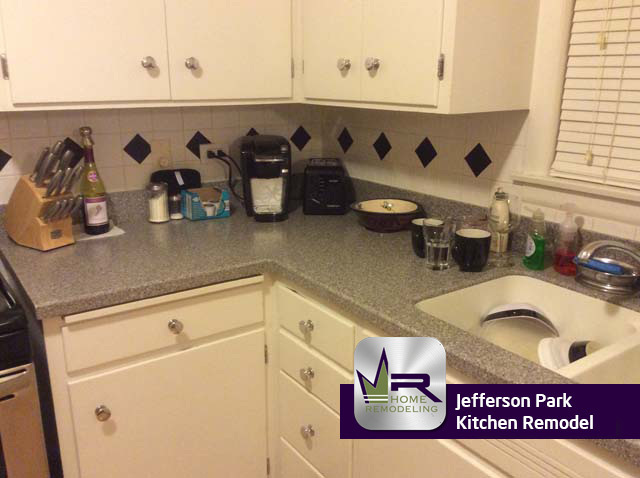 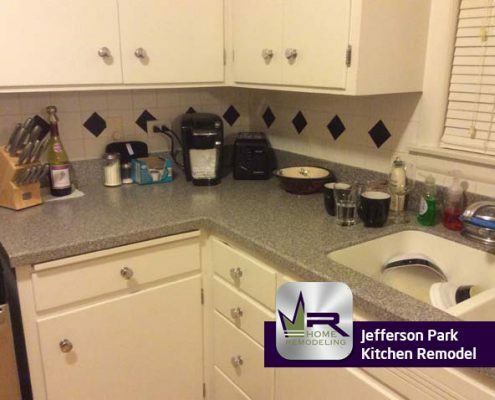 Overall, Regency successfully created the kitchen our customers envisioned and so much more. 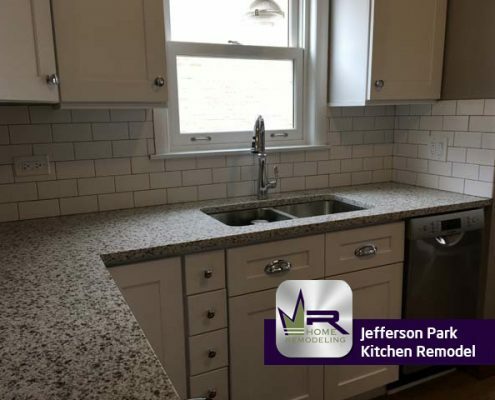 The homeowners will be able to look forward to coming home to their gorgeous new kitchen while enjoying it more than ever.